Delta SkyMiles is encouraging to use some of their non-airline partners by offering Double SkyMiles when you do complete activity with any or all of them. They use the terminology of 'new' loosely and they mean new to you which can be translated to two definitions, either you've never used them before or you never earned SkyMiles with them in 2017. All you need to do is register and any activity that qualifies from March 20 to May 31 will be awarded the double SkyMiles. 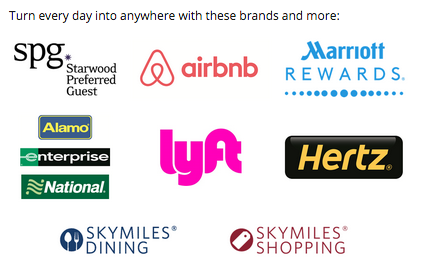 The following non-airline partners are participating in this offer: Hotels & Airbnb, Car Rental Partners & Lyft, SkyMiles Cruises, FTD, Vinesse, SkyMiles Shopping US and SkyMiles Dining.